KaPiGraf is a free portable diagram generator for Excel which you can use in order to generate diagrams and charts from random values inside your spreadsheets following pre-configured mathematical functions and selected values. 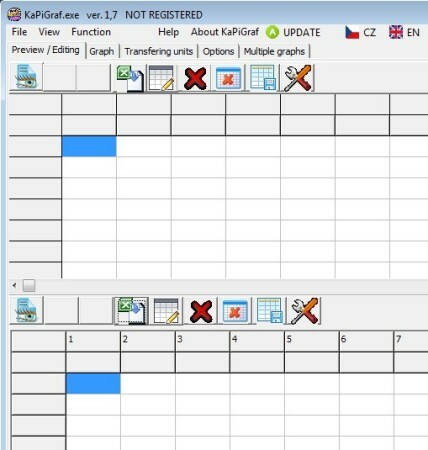 Next to this very unique function, KaPiGraf can also be used as a Excel editor, because in order to generate diagrams, you’re either gonna have to open up spreadsheets and access info from there or create some from scratch. Similar sodftware: Lucid Chart, Diagram Ring, Timing Editor. If you noticed the Not Registered caption at the top of the window titlebar on the screenshot above, that’s there because this free spreadsheet diagram generator is only free for personal use. Commercial use requires you to upgrade which also gives you more features like faster tech support and faster updates. Here’s a few pointers to help you get started. Either import spreadsheets by clicking on the File >> Open 1 or Open 2 depending on where you want to open it up. Values can also be entered manually. After you do that, you’re gonna have select values that you’re interested in using by right clicking on them and assigning them to either X or Y axis. 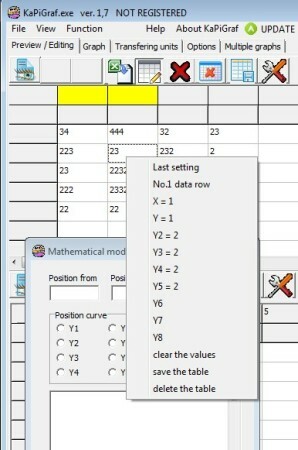 Mathematical function can be entered by selecting Function from the menu all the way at the top. For more detailed setup instruction, open up the accompanying readme file that comes with the app. 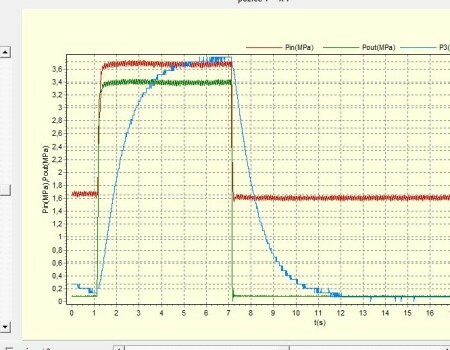 When you’re done click Create graph in the bottom right corner. If you’ve setup everything, chart should be generated, if not you’re gonna be warned about the errors that you’ve made, and of course they’re gonna have to be corrected. KaPiGraf is the perfect tool for anyone who’s interested in generating highly customizable diagrams and charts from their spreadsheets. The only drawback is that not everything is translated properly to English in the interface, some tooltips for example, but nothing too important. Free download.